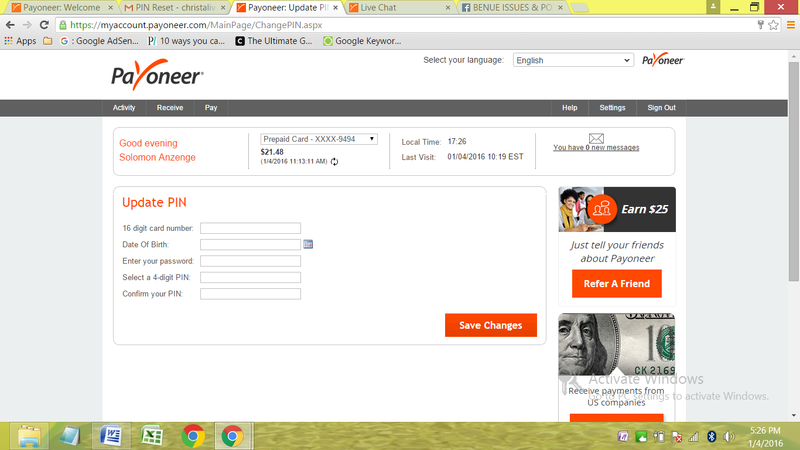 This is how I changed my payoneer card pin by contacting them via chat. 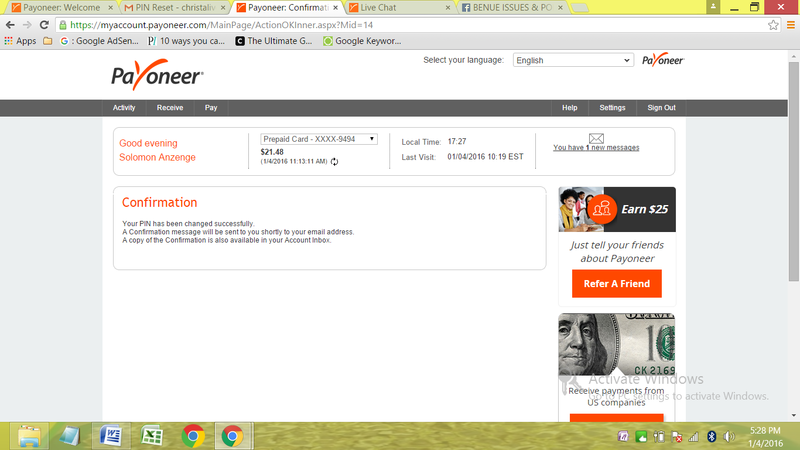 I got my payoneer card some time last year. How did I do it? I simply applied via their website and in a few weeks the card was sent to my post office box in Portharcourt, Nigeria. 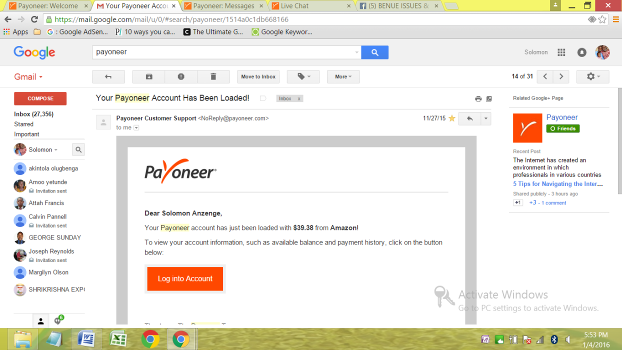 When I got it, I went to the payoneer website and activated the account appropriately. To request a FREE MASTERCARD with $25 free credit bonus (when you receive your first $100 into the card), click this link now. How I received money into my payoneer account for the first time. 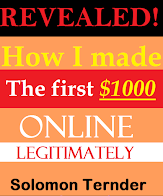 I am affiliate with Amazon.com So Amazon pays me affiliate commissions each time someone buys something through my link on my other blog, www.moringawealthandhealth.com . 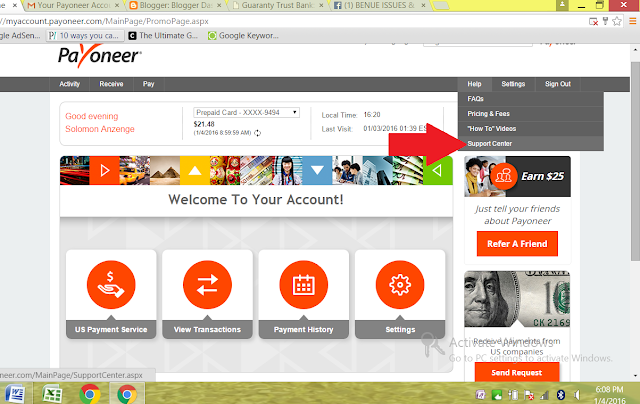 When I got the payoneer card, I decided to change my usual method of payment from Amazon Gift Card to the US ACCOUNT number that payoneer gave me. 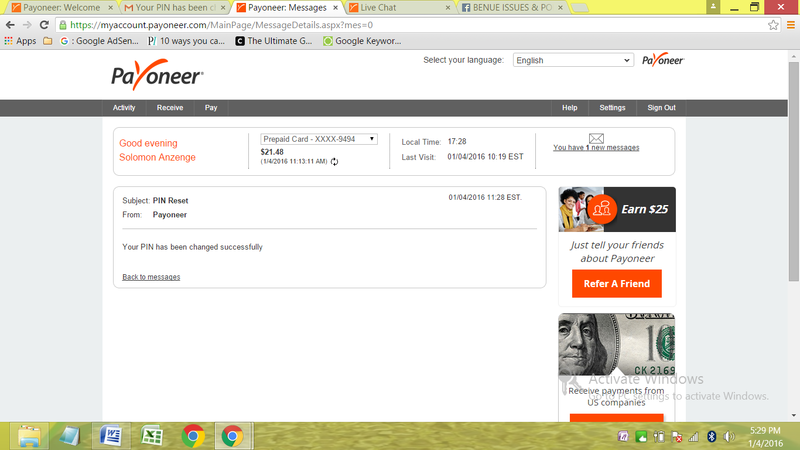 On the 27th day of November, 2015, I received the first payment into my payoneer account as shown below. I was so happy that at last I am able to receive my Amazon affiliate payments to an account from which I can easily withdraw and spend here in Nigeria. You may be wondering why I was so happy. You see, with the Amazon Gift Card payment method I used to collect my earnings before, you can only spend the money on Amazon website for purchases or transfer to some other Amazon customer. You cannot cash it! Alternatively, you may choose to receive payments via cheque which takes so long to arrive. You cannot guarantee its safe arrival either. And when it finally arrives, it takes another time of waiting for the cheque to clear from your bank. Now you appreciate my reason for being so happy right? Now I wanted to withdraw the money and spend. So I went to the bank ATM and inserted the card one day only for me to forget the pin I chose when I activated the card. I tried the wrong one few times and left. 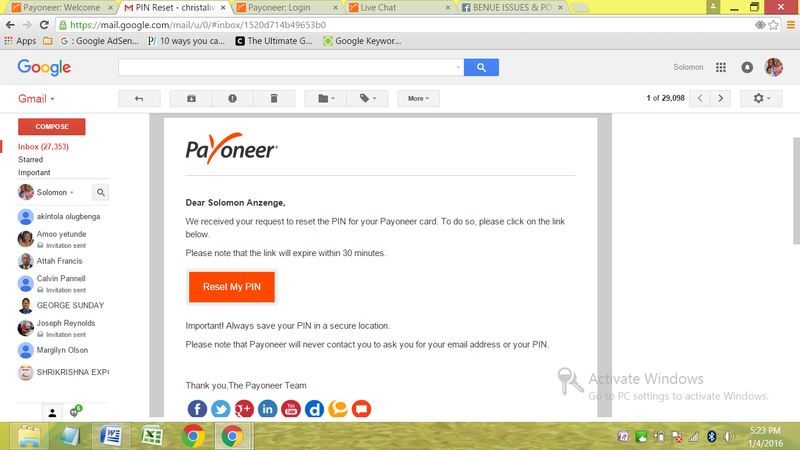 I decided to contact Payoneer for a possible pin reset via the phone first. After waiting for some minutes on the call without help I decided to check alternative means of contacting them. 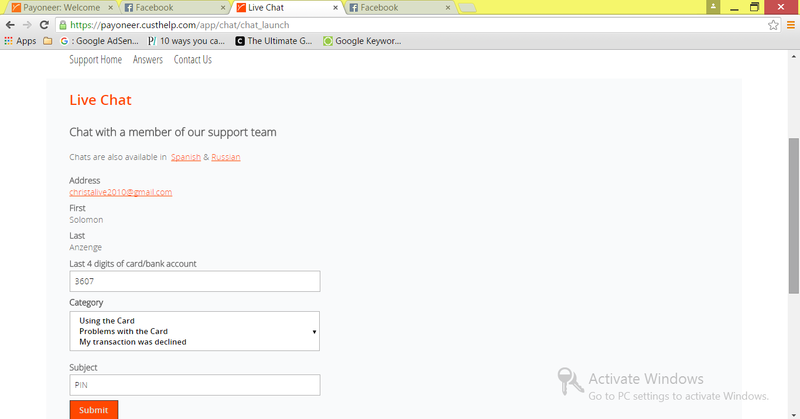 But because I was using the tablet to browse, it was not possible contacting them via the live chat. However, today I decided to do it once and for all, so I switched the laptop on and started the process… See the steps I followed below. 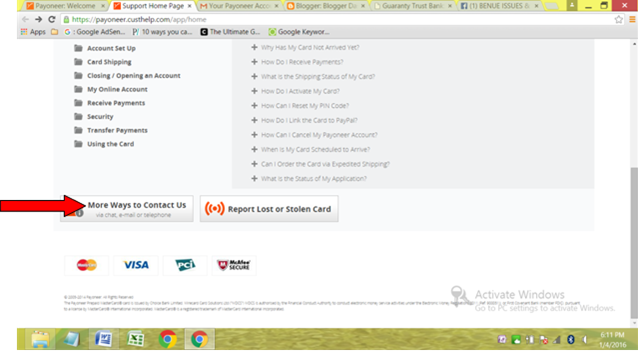 I logged into my account via the account login form on their home page Payoneer. 3. I clicked MORE WAYS TO CONTACT US at the lower left of the page. I filled the required details and put PIN under subject as shown below. I waited for an agent to connect on the chat. After about 15 minutes thereabout, Abie, a customer agent, came on chat. Abie requested for some security information on my account. After I answered all the questions correctly, they sent a link to my mail box with which to reset the pin. And the chat came to an end. 8. I clicked the link and was prompted to fill in my login details to proceed. The messages shown below were sent to confirm that I successfully changed my pin. Now I can go and withdraw from the ATM. Would you follow me to see how? Lol! Kindly leave comments below. Blessings! I have an IT firm, and I answer most of the queries online through my website. I can say that Live chat software UK can be used for several purposes, and I generally use it for interacting with the existing customers and allowing website visitors to get information about my services as well.